When President Obama goes before Congress and the nation to give his State of the Union message, we will see the increasingly-detached and stiffly ideological justifications for the abject and serious failures of his Administration. We will see tragic victims who suffered at the hands of evil men paraded before us to try and convince the American people that every lawful gun owner is partially responsible for those evil men, and for the acts they committed. We will be told how it is the role of government to “protect the children” by punishing those who committed no crime, and abridging the freedoms of the law-abiding. That the rights given us by which our Founding Fathers intended for the People to serve as a final protection against the tyranny of government, need to be abridged by that same government. We will be told that such is necessary for our own safety. We, the People, cannot be trusted. We will be told how we should allow our government (using our money) to spend its way out of the debt it created with profligate spending. And that, despite the fact that the Democrats controlled both houses of Congress between 2007 and 2011, and had the White House to boot between 2009 and 2011, and continue to control the White House and the Senate, that whatever problems we have are the Republicans’ making. We will hear about the rights of special interest groups (but not the People), and “climate change”, and how a contracting economy is actually somehow proof of his successful economic policies, despite high unemployment, slumps in manufacturing, and a massive trade imbalance. And how more of the same, the move toward a government-controlled and increasingly statist economy is the “vision” for America’s resurgence. We will be told, by President Obama, by his politically beholden media, and by his many apologists on the Far Left, that any inkling of disagreement is merely “partisan”. Perhaps even the ramblings of “violent extremists”*. We may even hear about the necessity to give the government the power to assassinate ANY American citizen it perceives as a “threat” (violent extremists*), without any semblance whatever of due process, or of appeal, or any protection by the 5th, 6th, or 14th Amendments. What we will likely not hear about is the horrific embarrassment that was the Benghazi fiasco, nor the criminally culpable behavior of Administration officials, including the Chairman of the Joint Chiefs of Staff. We won’t hear about the effects of “sequestration” on America’s defenses, and how the willful destruction of the United States Armed Forces is so much dinner theater. Or how our irresolute and amateurish foreign policy bumbling has emboldened our enemies and worried our allies. Or how our economy is being held hostage by uncertain and punitive tax policies, and by absurdly restrictive environmental regulation that smacks of the anti-capitalist bent of its enforcers. The above predictions hardly qualify me as the next Kreskin. It is roughly akin to predicting sunset in the West. Sadly. I doubt I will bring myself to watch the spectacle of another coat of whitewash being applied to the crumbling Potemkin Village, while those whose duty it is to know better applaud the policy of bread and circuses. The true “state of the union” is increasingly evident, and bears little correlation to anything we will be told tonight. President Barack Obama received a very publicized endorsement from Colin Powell, former Secretary of State and CJCS. Not a peep of criticism out of the current Chairman about whether that constitutes “using the uniform for partisan politics” or not. And we aren’t likely to. Jellyfish are invertebrates that will drift with the tide, after all. In the statement of endorsement, Powell informs us that Obama’s policies have made us safer from terrorism. He manages to say that with a straight face, which had to have been difficult. I am sure the insistence will be that skin color has nothing to do with Powell’s endorsement of Obama, but I find that extremely difficult to believe. His Presidency has been a catastrophe for our economy, our military, our freedoms, and our status in world affairs. Methinks Powell knows that well, but will tell us otherwise. Not at all publicized by the Obama-catering mainstream media is an endorsement by FIVE HUNDRED retired Admirals and Generals in this morning’s Washington Times. The list includes thirty Marines, including Medal of Honor winner recipient James Livingston and a number of former Commandants, and a great deal of other distinguished names from all the services. Once again, the media is all but silent about this rather definitive statement from the retired FOGOs. They prefer to make us think that Obama showing up in a faux-flight jacket constitutes endorsement by the Armed Forces. Well, he does have Powell, and Wesley Clark. And Admiral Nathman. So he’s got that going for him. Which is nice. 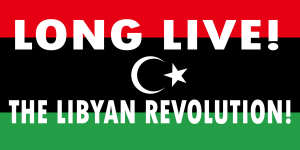 Amid the elation inside Libya, and much self-congratulations in the United States and NATO, news of the overthrow and execution of Muammar Qaddafi by Libyan rebels has overshadowed events that are far less promising and welcome. 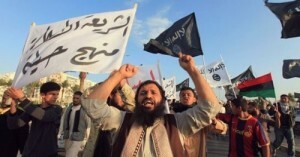 Mr Abdul-Jalil’s decision – made in advance of the introduction of any democratic process – will please the Islamists who have played a strong role in opposition to Col Gaddafi’s rule and in the uprising but worry the many young liberal Libyans who, while usually observant Muslims, take their political cues from the West. 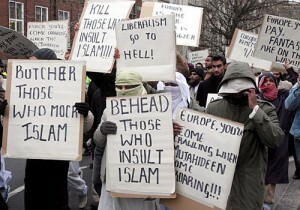 It isn’t hard to imagine just what the “democratic process” will look like under Islamists’ enforcing Sharia law. The Libyans’ 42-year nightmare may be over. Perhaps only to be replaced by another that may last much longer. There are myriad lessons to be taken from Libya’s situation and her apparent regressive path. In the “Libya model”, allying oneself with unknown entities of unknown allegiance against a dictator’s regime, and then fighting by proxy through those entities, even superpowers relinquish control of events. Without significant friendly presence on the ground, the goals and objectives of those unknown entities trump your goals, whether you intended them or not, which can lead to potentially severe unintended consequences that make the cure worse than the disease. There are practical matters as well, the location and possession of some 20,000 SA-24 MANPADS, and stockpiles of HD (sulphur mustard) munitions being among them. Revenge against regime supporters, persecution of religious and ethnic minorities, perpetrated by the people we aided in bringing to power, undoubtedly will be the order of the day. As events follow their unwelcome course in Libya, and we find ourselves with virtually no means to influence them other than with proclamations, it is time to face the somewhat unwelcome truth that this revolution looks far closer to Teheran in 1979 than we care to admit. And worse, this time we helped drive those events without any means of control. When the final bill comes due for Libya, the cost may astound us. Nope, nothing to see here, folks. The winning anti-Gaddafi militia are not proving merciful. Often they have had relatives killed in the fighting or imprisoned by the old regime who they want to avenge. Sometimes they come from tribes and towns traditionally hostile to neighbouring tribes and towns. Gaddafi supporters are being hunted down. 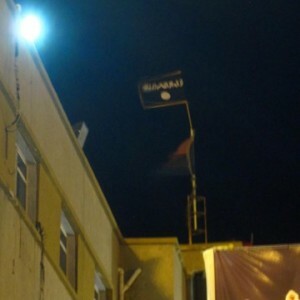 According to one person in Gaddafi’s home town of Sirte, they are facing a “continuing reign of terror”. “There is a deep and spreading frenzy, particularly among some of the youth militia and the Islamists, to hunt down anyone associated with the former regime,” the source said. The purge of Gaddafi supporters is made more dangerous by the infighting between the militias, and between them and the politicians. Association with the old regime can be used to discredit an opponent. There may also be self-interest since death squads are reported to be taking their property. Not quite what we had in mind when we decided to go to the window to back a horse in this race. Unintended consequences. Predictable, sadly, but unintended. *The tragic events of September 11th, 2012 make a number of the comments to the original post at USNI even more willingly blind and patently absurd than they were then…. but my guess is that people like that can find yet another explanation other than reality. “…you don’t deploy forces into harm’s way without knowing what’s going on; without having some real-time information about what’s taking place,” Panetta told Pentagon reporters. Right now, nobody can say about General Ham, though there is plenty of well-warranted speculation that such a characterization is knowingly false, which would be consistent with the Administration’s track record of lies, cover-ups, and deliberate deceit regarding the events of September 11th, 2012. We do have several glimpses into General Casey’s character and loyalty, and those are most unbecoming. He is not to be trusted, and is unworthy to lead the men and women of our Armed Forces. EagleOne calls it “un-courage”, a term which fits quite well. And what of the “free press”, that independent news media that is the shining pillar of our First Amendment freedoms? Conspicuously, thunderously silent on the entire matter. They are beneath contempt. In Al Anbar during the rather violent days of 2004, the Governance Support Team with First Marine Division was hardly a collection of elite warriors sworn by their ethos to die gloriously in a foreign land. However, the Marines and Sailors which constituted that force made many, many forays into injun country, and understood well that if any Marine or Marines went missing or fell into the hands of the enemy, we would do every last thing in our power to get them the hell out. It was not the stuff of brave oaths, but rather of grim understanding. We all knew, down to our most junior Marine, that such an occurrence was not a theoretical training scenario but was a real possibility. It is disturbing, and maddening, that such an understanding is so foreign to those whose duty it is to lead us. And stomach-turning that our Commander in Chief cannot bring himself to tell the electorate the truth about his actions and those of his Administration. And, frightening when a monolithic mainstream media treats the entire tragic and despicable episode as if it never happened. XBRAD is indeed correct that protection of US diplomats and servants in overseas stations is imperfect. Duty in a foreign land always carries risk. But when an Administration is as callous, weak, cowardly, and deceitful as this one has been, it is a virtual guarantee of emboldened enemies, wary allies, demoralized and skeptical Armed Forces, and an electorate whose security is far less certain than it should be. Seems one Hillary Rodham Clinton, Democratic Candidate for President in 2016, and oh yes, current Secretary of State, has no intention of being thrown under the Obama/Biden campaign bus over the criminally-negligent fiasco in Benghazi on September 11th. He meant the White House. In over four hours of testimony, the testimony that you just referenced the other day, no one who testified about this matter suggested that requests for additional security were made to the President or the White House. These are issues appropriately that are handled by security professionals at the State Department. And that’s what he was talking about. Carney, of course, was commenting on a question asked regarding VP Joe Biden’s rather curious debate remarks that directly contradicted State Department assertions and Congressional testimony about the attack in Benghazi, and the security levels there on September 11th, 2012. While probably technically truthful, those remarks hardly reflect a united Cabinet, nor portray the Secretary of State as being seamlessly joined to the President as the executor of foreign policy. And it is not the first time that Carney’s words have directly rebuffed State Department explanations. This could get interesting, to be sure. As Tony Lee over at Big Peace summarizes, the Clintons and Obama are not on the best of terms anyway. Former President Bill, a more astute political wheeler-dealer than either Obama or Hillary, has little to lose to ensure that Obama and Biden don’t ruin Hillary’s chances in 2016. And Bill or Hillary may be willing to torpedo the WON’s increasingly tenuous re-election bid in 2012 to prevent it. Shame that neither Hillary or Obama cared as much about the lives of a US Ambassador and our diplomatic personnel, or about America’s standing in the world, as they do about not getting any of the blood shed through their neglect splattered on their respective political futures. Author XBradTC2Posted on October 13, 2012 Categories guns, history, islam, Lybia, obama, Politics15 Comments on "Do Not Go Gently…"
Except that you did. Time and again. Forcefully. Condescendingly. Even, apparently, as you knew it to be untrue. Hoping, one assumes, to keep the real events obscured until after the election. The nonsense of blaming spontaneous demonstrations and some anti-Islam video clip for the coordinated and well-planned attack in the Benghazi consulate that killed Ambassador Stevens and three other Americans was not a cover story created for national security purposes. It was a sordid lie whose only purpose was to hide the incompetence and arrogance of this Administration and our State Department under this Administration from the American citizens who will be casting votes in November. Susan Rice lied. Hillary Clinton lied. Barack Obama lied. And now they want us to believe they didn’t say and infer those things that they and their underlings said and inferred, even in this age of video and internet-posted transcripts. Because, despite their best efforts, the true facts have come out and are directly at odds with the tales they told. To paraphrase Howard Baker, what did they know and when did they know it? It seems they knew the truth, immediately. Well before they chose to promulgate the falsehoods they are now denying ever happened. And you, General Dempsey? You are worse than they. You violated your oath of office at their behest, playing your own despicable part in perpetuating their sordid cover-up. You used your office and influence to intimidate a private citizen to refrain from lawfully exercising his Constitutional rights of free expression. Rights explicitly protected by the Constitution you were sworn to uphold and defend, and which chose to subordinate to the wishes of your political masters. They are politicians, who may be expected to temporize and compromise. You, on the other hand, were supposed to have the special trust and confidence that came with your Commissioning Oath and the uniform you have disgraced. Shame on you. They lied. You knew they lied. Your actions were deliberately designed to give credence to that lie. You are not to be trusted, and are unworthy of your position of leadership. If you have any honor, you should resign forthwith. Despite the assertions of those who believe in politeness über alles, that is as nicely as I can put it, with the disgust and disdain I have for you. It seems that the Senate Foreign Relations Committee (or at least members of it) doesn’t have much faith in the investigative skills (integrity?) of the State Department in conducting its inquiry into the murders of the US Ambassador and three other Americans in the September 11th attacks on the US the consulate in Benghazi. “Despite these warnings, the State Department sought and received a waiver from the standard security requirements for the consulate,” the senators wrote. They should be. We have not gotten a straight answer yet from this Administration, and certainly not from State, regarding this dreadful attack and the breaches at other embassies that day and in the days following. For more than a week afterward, White House spokesman Jay Carney still insisted that the attacks were spontaneous, and even when he finally had to admit otherwise, the President contradicted him. Indeed, President Obama’s remarks before the UN recently were delivered to give the impression that the anti-Islamic video was the cause of the attack, when it was clear that we knew otherwise for quite some time. Even the Libyan President has said so rather unequivocally. Hillary Clinton has, aside from condemning the attacks, said little about the security posture in Benghazi or in Cairo. Either the security threat was known and ignored, or security was subordinated to some other consideration in the face of those threats. One has to suspect that the Accountability Review Board will produce nothing of consequence for some time, certainly not before a certain date in November of 2012. And perhaps the Senators who requested the diplomatic cables have an inkling, like I do, that the Accountability Review Board will be all but devoid of accountability. You know, the State Department version of the Fast and Furious report. A self-investigation into a series of terrible decisions and poor leadership bordering on, if not centered around, criminal conduct, which will conclude that the BOSS (Hillary) was somehow not at fault, but instead was poorly served by her minions, the selected number of whom will be sacrificed with hopes that the whole sordid affair will be long forgotten by, say, 2016. I would like to know the details of where the Ambassador’s security detail was, what their instructions were, and how they were armed/protected. Or maybe I wouldn’t. On the eleventh anniversary of the murder of 3,000 Americans in Muslim “protest”, add four more murders to the “religion of peace”. God’s mercy (OUR God) on the families of those lost yesterday. It is almost enough to make one hearken back for that comparative strong-man, Jimmy Carter. Sure glad backing the Libya uprising with hundreds of millions in US Military support was such an unqualified success. The New York Times has an article this morning regarding the difficulty Washington is having in sorting friend from foe in the wake of the”Arab Spring”. The article mentions a State Department visit of Hani Nour Eldin, a now-member of Egypt’s Parliament, but also a member of a designated terrorist organization, Gamaa al-Islamiyya. Pressed by reporters after the visa quickly became a Congressional controversy, a State Department spokeswoman, Victoria J. Nuland, said Mr. Eldin had been judged to pose no threat to the United States. The Times article then begins a full-court press of making the case for America’s (meaning George W. Bush’s) failure to delineate between Islamists such as the Muslim Brotherhood, and the Jihadists. The overthrow of dictators across the Arab world and the rise of Islamists to new influence or power is forcing Washington to reassess decades-old judgments. Foreign Muslim scholars were denied visas because of outspoken views at odds with American policy. American officials did not always carefully distinguish between Islamists, who advocate a leading role for Islam in government, and violent jihadists, who espouse the same goal but advocate terrorism to achieve it. While such words seem to provide some measure of comfort to those who might have been viewing the situation in the Middle East with increasing alarm, the very foundation of the assertion by the article’s author is an unfounded and foolishly optimistic premise. The goal of the Islamists has never been simply for Islam to have a “leading role in government”, and the author of the article likely knows this. So, indeed, should those members of this nation’s Foreign Policy team, including the President, his National Security Adviser, Secretary of State, and all those whose responsibility is the direction of American statesmanship. There can be no other views expressed, at least publicly, that will not reinforce the fact that President Obama’s “Muslim Reset” and his ill-advised Cairo apology was a dreadful mistake that America’s enemies in the Middle East and elsewhere rightfully viewed as an act of submission and example of the naivete of an inexperienced and arrogant Chief Executive who lacks a basic understanding of Realpolitik and international affairs. None will resist, you will submit! Islam will conquer the hearts of all Christendom, this is a definite reality. Every government has surrendered to the Revived Global Caliphate and those nations who resist will be placed under a police state within their realm! While Farook al-Mohammedi is not Egyptian, and his organization is ideologically aligned with the Muslim Brotherhood but not actually a part of the Brotherhood (that we know of), Youssef al-Qaradawi is both. What is Qaradawi’s contribution to the Islamist/Jihadist discussion? So, it would seem hearkening to a systemic extermination of an entire peoples is merely “advocating for a leading role for Islam in government” and should not, in any way, be confused with the “violent jihadists” who might use terrorism to achieve that leading role for Islam. That should be nothing new, by the way. The Muslim Brotherhood were open supporters of Hitler’s Third Reich, and have never moderated their views in any way. The complete bankruptcy of those who continue to insist on telling us that Islamists and Jihadists are not the same thing cannot be overemphasized. The failure (or refusal) of this Administration to face the facts about the nature of America’s enemies has been little short of criminal. Blaming the last administration is sophomoric, and reeks of the immature and unprofessional atmosphere that is the shambles of American foreign policy. Wiping out Christianity? Calling openly for another Holocaust? A police state for the non-believers? It seems one can take Egypt’s Jibril telling us “There are no extremists” one of two ways. Either he is lying because he knows we are too stupid and naive to realize it, or he doesn’t consider the above views to be extreme. Perhaps both. Whichever, those in our government who continue to insist on the differences between Islamists and Jihadists won’t believe either. Read the rest. It is to weep. Putting aside the very important debate about the War Powers Act and Libya for the moment, I’m struck by the continuing “death rattle” of doctrines which have until recently dominated US foreign policy in the post-Cold War era – those developed by Caspar Weinberger, refined by Colin Powell, and eventually amended in the post-9/11 world by both Powell and Donald Rumsfeld. These policy statements formed the cornerstone to US foreign policy through five presidential administrations, spanning over twenty-five years. Some observers have proclaimed the death of the Powell doctrine in recent years – partly due to decisions made by the current administration with regard to Afghanistan. Yet, even to this day the famous “tests” of that doctrine continue to frame any discussion about the use of military force – especially with regard to Libya. For something now “dead” the former JCS Chairman and Secretary of State’s philosophy seems very much in play! The “bumper sticker” version of the Powell doctrine holds that the US should only use military force where objectives are clear, support at home is overwhelming, and with the full weight of force to end the affair quickly. But like most things in our 24-7 news cycle, that’s oversimplification. Vital interests of the US or its allies is at stake. Clear intention of winning in any combat operations. Clearly defined political and military objectives. Commitment of only the force levels needed to achieve those objectives, and re-adjusted as needed during the operation. Commitment of forces only with the support of public opinion and of course the Congress. Commitment of forces considered only as the last resort. Of course, Weinberger derived this doctrine based in part on his personal observations in the post-Vietnam and early Reagan years – particularly with reference to the Marine Barracks in Beirut and the invasion of Grenada. Not directly stated was the intent to limit the exposure of US forces in both numbers and deployment time. The long shadow of Vietnam necessitated such. For a nation whose original foreign policy was “no foreign entanglements,” Weinberger’s statements made sense. Assessment of risks and costs. Consideration of consequences of action. Powell stressed repeatedly (and continues to this day as he makes the talk show circuits) that, as Weinberger stated, the use of military force is only a last resort option. Although heralded as a great victory for the “Powell Doctrine” (by 1991 Weinberger’s links to the policy were downplayed), the Gulf War also showed many cracks in the logic. By purposely limiting commitments and scope, American leaders found their strategic options limited. In much the same light as McAurther in Korea and Patton racing to Berlin, history presents a great “what if?” regarding Schwarzkopf and Baghdad in 1991. But the muse reminds us not to fall into such speculative traps. But we can say for sure the lessons from the Gulf War’s end were not heeded, if even identified, at the time. In the following decade, the US sent troops to Somalia, Bosnia, and scores of other places – with all deployments processed through the tests of the Powell Doctrine. We might debate the earnestness of the Somalia and Bosnian operations at length later. But here, let us focus on what that doctrine imposed on operations. Keeping with limitations on force levels, the military planners were unable to keep pace with changes to the political objectives. Worse yet, the strict adherence to “exit strategies” tied military operations to something akin to a project plan, with only cumbersome allowances for situational changes. The Weinberger-Powell doctrine fell on its own weight. After the events of 9/11 the doctrine seemed to take a new tangent. While many decry the “Bush Doctrine” and consider it at odds with the previous decade of foreign policy stances, I’d point out at the macro-level little actually changed. Indeed, detached now by nearly ten years, OEF seems to stand within the constraints of the Weinberger guidelines for the use of military force. In the run up to OIF, of course, unofficially (and denied at least in public) Powell added the “Pottery Barn Rule” to the doctrine, really just amending the “exit strategy” line. The historian’s question in years to come will be if Rumsfeld’s weekly catch-phrase-laced press conferences outlined real deviations from the existing doctrine, or simply logical applications of the doctrine to a real situation. But as we have been told for some time now, elections have consequences. Now a different administration, without the continuity of Powell or Rumsfeld, has committed military force to Operation Odyssey Dawn. In some regards, the run up to the war – and lets call it what it needs to be called – decision makers and planners consulted the same tests and measured the same criteria as with Afghanistan in 2001 and Iraq in 2003. What’s different here is the decision makers fixated on the finality of the exit strategy, not heeding the lessons learned from Iraq and Afghanistan, gambling on a “early in – early out” win in spite of the lack of firm objectives. Furthermore planners, who were perhaps reluctant to act in the first place, hedged their bets with a nearly zero physical presence of US personnel in the operation. No, I’d submit the Powell Doctrine is not dead. At least not yet. All we are really lacking is a name to apply against the “Drones are Not Troops” rule.